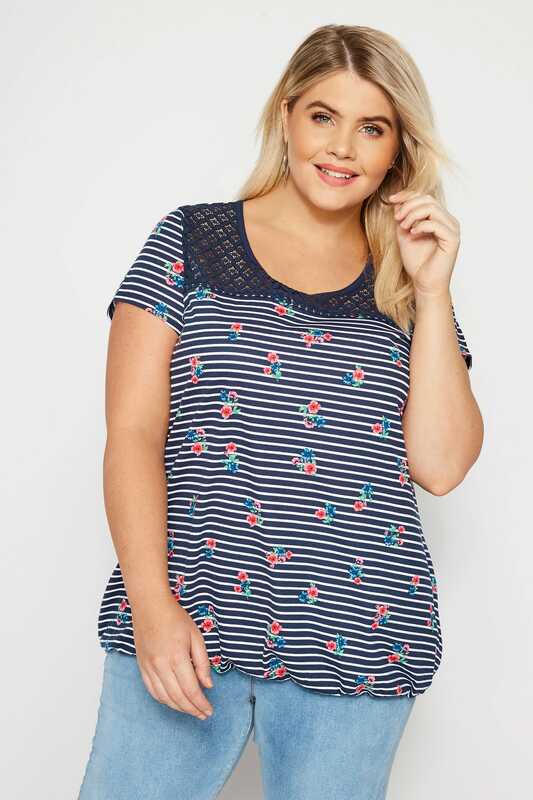 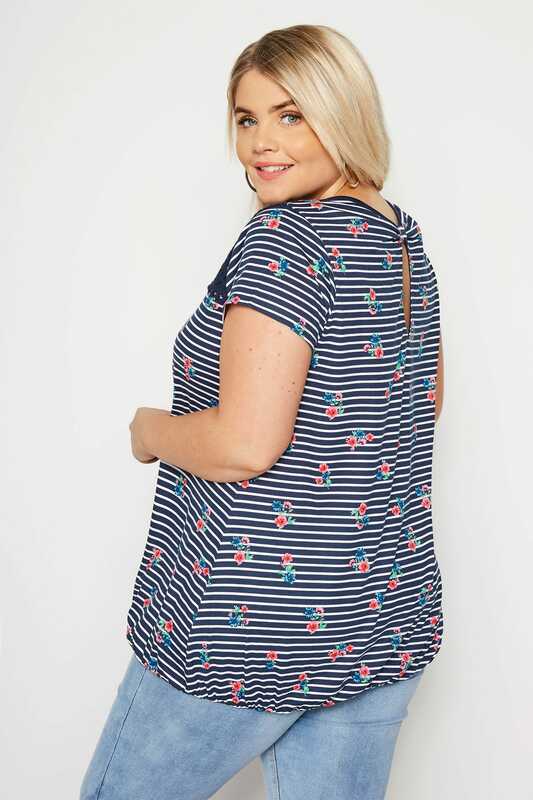 Liven up your denim with this bubble hem top. 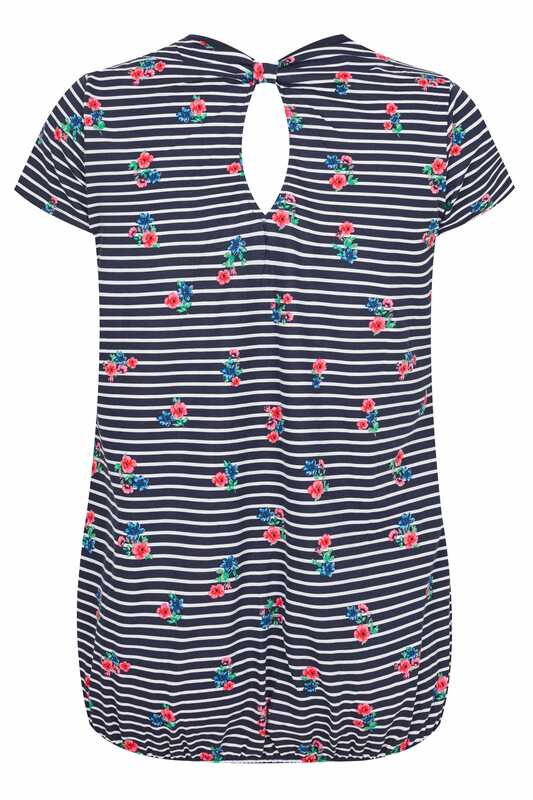 Contemporary and flattering, it features a stylish floral & stripe print, a lace yoke and bow detail to the back. 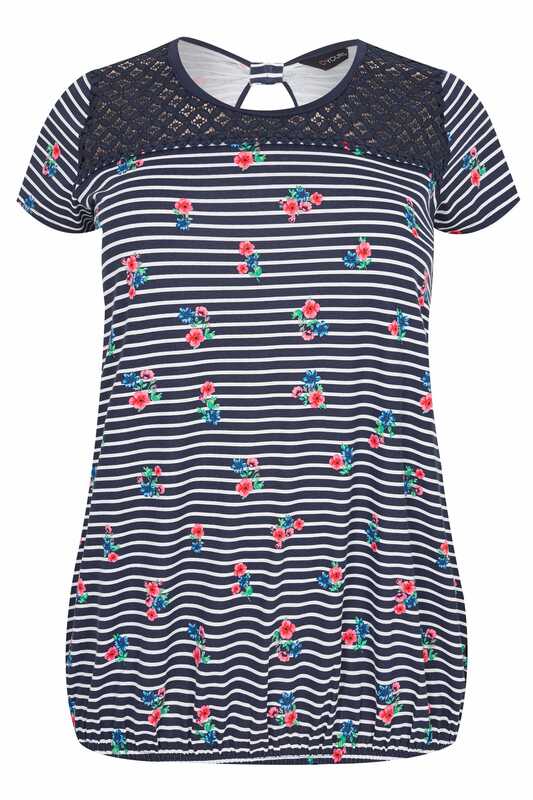 Great for weekend dressing, wear with cropped jeans and ballet pumps for a cute and casual look. 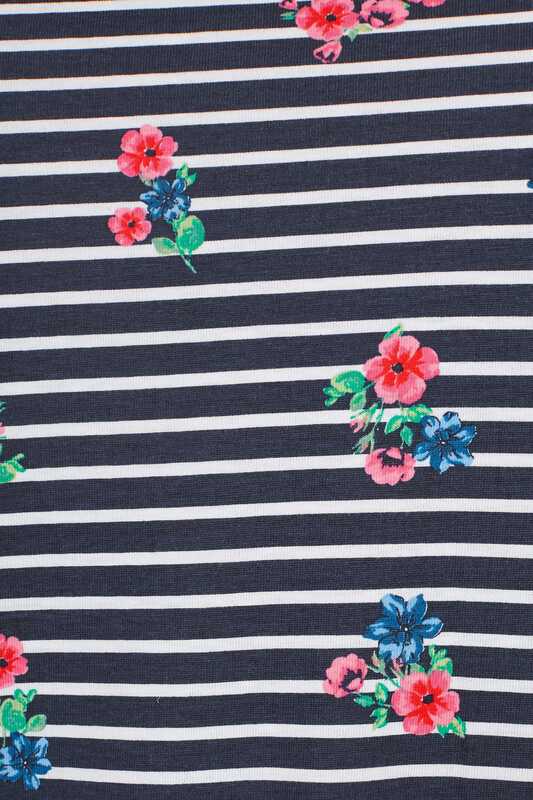 Update your jersey staples with this season's latest prints.